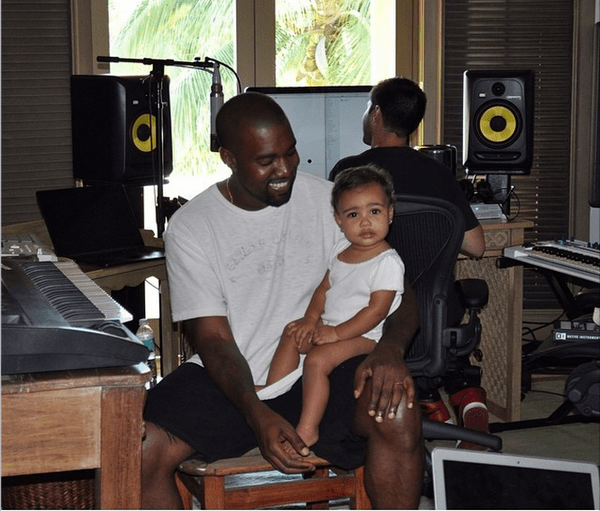 Like this picture of North and Kanye needs absolutely no caption. She is just too adorable. It is totally cute how she always has that one look on her face. I think North is a good blend of Kanye and Kim. Good to see her in the studio with her dad. It is also good to see Kanye being a dad despite his schedule. This picture easily makes the cut for my “Pictures that make you do awww”. She’s got Kim’s eyes and everything else Kanye. Too cute! And if that combo doesn’t turn out ok, Kimmy will hook her up with her plastic surgeons.